In upcoming days, the Senate will vote on a spending bill that contains a proposal to allow multiemployer pension plans to cut pension benefits. More than a million retired and current truck drivers, construction workers and other union workers could see their pension benefits cut now that Congress passed a proposal aimed at shoring up some of the nation's biggest pensions. 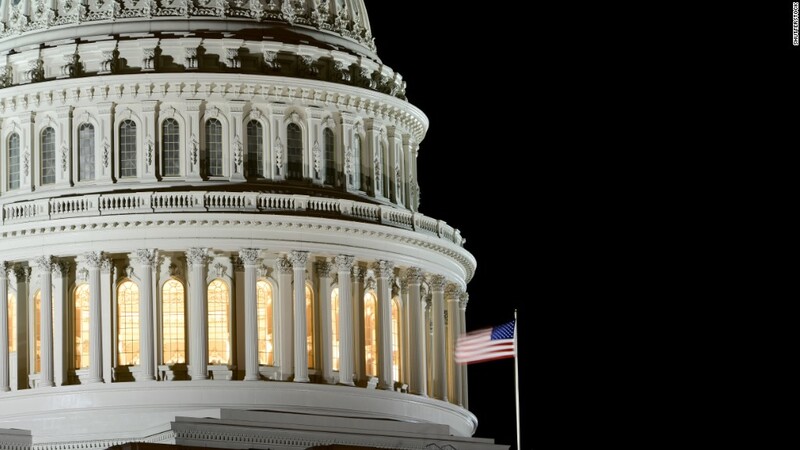 Tacked on as an amendment to the government's $1.1 trillion spending bill, the proposal was approved by the Senate late Saturday night. While those sponsoring the pension proposal say it is "the only available option" to save failing multiemployer pension plans, other groups -- like the AARP and the Pension Rights Center -- are crying foul. Multiemployer pension plans cover more than 10 million workers and retirees in the trucking, manufacturing and other industries. But many of these plans have struggled in the last decade as they grapple with an aging workforce and major investment losses from the recession. Plus, many larger employers have pulled out of the plans. That has put a major strain on the Pension Benefit Guaranty Corporation, the government agency that insures pension plans, which last month said its reserves are dangerously low. The Congressional proposal would allow plans that are projected to run out of money in the next 10 to 20 years to cut the benefits they pay to both current and future retirees. Benefits would not be cut for disabled pensioners or those 80 years and older, while cuts would be lessened for those between 75 and 80. The PBGC projects that more than 10% of the roughly 1,400 multiemployer pension plans, which cover more than 1 million workers and retirees, currently meet this criteria. Under current law, cutting the benefits of those who are already retired is off-limits. Instead, troubled multiemployer plans can take other actions, like reducing the benefits employees earn going forward and raising employee and employer contributions to the plan. If the Congressional plan passes, cuts would require participant and government approval first, although the largest troubled plans could slash benefits even if retirees vote against it. Retired truck driver Glenn Nicodemus, 64, receives his pension checks from the Central States Southeast and Southwest Areas Pension Fund, which is struggling to cover more than 300,000 retirees, widows and others. Under the Congressional proposal, Nicodemus could see his annual benefits plummet from around $40,000 a year to as little as $15,000. "I am disappointed in the fact that such an important matter is being done is such an underhanded way with little or no discussion of the consequences to millions who will be effected," he said. Groups like the AARP, the Pension Rights Center and some worker unions say that retirees like Nicodemus are counting on their pension benefits, which they paid for through decades of contributions, and that other measures should be taken to save plans like Central States. But supporters of the legislation counter that allowing for benefit cuts -- along with other changes included in the legislation, like allowing troubled plans to merge with healthier plans and doubling the insurance premiums employers pay the PBGC -- will help preserve the plans for both retirees and current workers. Related: Your pension: lump sum or monthly payments? One Cleveland plan, for example, has said it would only need to cut current benefits by 10% in order to prevent insolvency, said Randy DeFrehn, executive director of a coalition of employers and labor unions that crafted the proposal the legislation is based on. Without any cuts now, he said that plan expects to run out of money by 2028, at which point all participants would see their benefits cut by 50% or more. That's because if a multiemployer plan goes insolvent, a retiree is guaranteed less than $13,000 a year. In contrast, a retiree in a single employer plan that goes bust is insured for up to $60,000. To make matters worse, the PBGC's multiemployer insurance program is itself projected to run out of money in the next decade unless changes are made -- meaning that workers and retirees in failing plans could be left with no benefits at all.